Amazon Echo UK: What Exactly Is It? At first glance, the simplistically designed Amazon Echo might not seem like much. Standing at only 235 mm tall and weighing a mere 1045 grams, this sleek, black spherical device comes across as your average minimalist speaker able to blend in with any home décor. This all changes when you call out Echo’s name, Alexa, triggering a blue ring and awakening your new powerful, personal assistant. Echo is equipped with seven microphones and beam forming technology so that you can be heard clearly from across the room, even while music is playing. Through this far-field voice recognition, you are able to control the 360º omnidirectional audio with only your voice, playing music from Prime Music, Spotify, Pandora, iHeartRadio, TuneIn and more. Amazon Echo is also Bluetooth-enabled, so you are able to stream other popular services such as iTunes from your phone or tablet. Your music taste is completely unrestrained. 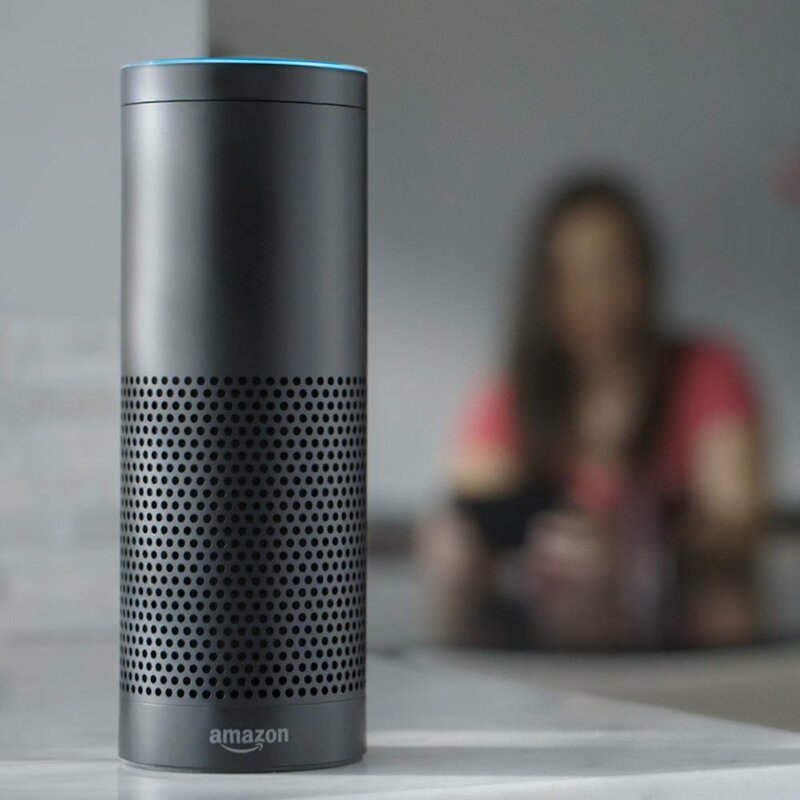 Amazon Echo UK: Meet Your New Personal Assistant, Alexa! In addition to Echo’s speaker functions, the device is also an increasingly intelligent personal assistant. Alexa answers your questions, reads audiobooks, reports the news, traffic and weather, gives you information on local businesses, provides sports scores and schedules, and even more at your command. Echo is constantly being updated with new features and skills, and since the device is always connected to the internet and cloud, it updates automatically. 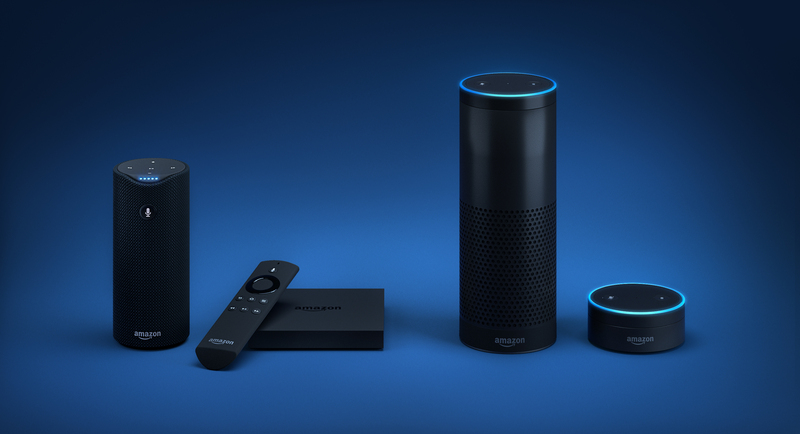 These updates include new skills from third-party developers, which have impressively boosted Alexa’s assistant capabilities. Echo can now order a pizza from Domino’s, request a ride from Uber, open the garage with Garageio, and much more. Alexa is perhaps the most impressive feature of Echo. Naturalistic, witty, and incredibly fast, Alexa adapts to your speech patterns, vocabulary, and personal preferences. If you ask Alexa what the mass of the sun is in grams, she will quickly rattle off the massive number you thought was immeasurable. If you challenge her to rap, she will prove your doubts wrong with a freestyle rap about herself, of course. If you ask her what the meaning of life is, she simply states “42”, a reference to The Hitchhiker’s Guide to the Galaxy by Douglas Adams. Alexa is chock-full of nerdy references to be appreciated by a wide range of users, recognizing everything from Star Trek commands to inside Portal jokes. If you ask her what her quest is, she will proclaim that it is to find the Holy Grail, one of many Monty Python and the Holy Grail references. She even has a working knowledge of The Matrix, giving a multitude of different answers when you ask her if we are indeed in the Matrix right now. With endless updates, Alexa is always keeping her conversation fresh. Alexa is incredibly fun to toy around with, but one of the most practical features of Amazon Echo is its compatibility with smart home devices. For example, Echo can be linked to Wink Smart Home products. 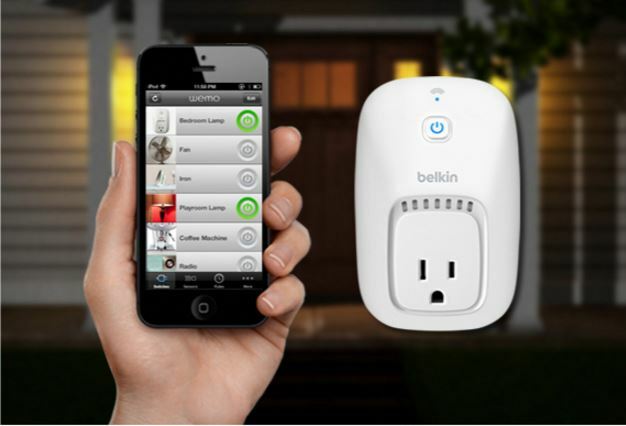 Wink sells a number of home devices that can be controlled on the free app available in the App Store or Google Play. Most impressive about Wink is the HUB, a device used to connect not only Wink products but also other products from favorite compatible brands. Through the HUB, devices are able to communicate with each other in whichever way you see fit, as determined by your customization on the app. For example, you can command that the Kwikset SmartCode Deadbolt tells the lights and A/C to turn on every time the front door is unlocked. You can also set schedules on the app, programming certain devices or lights to turn on and off at set times. Another brand of smart home devices capable of connecting to Amazon Echo is SmartThings. 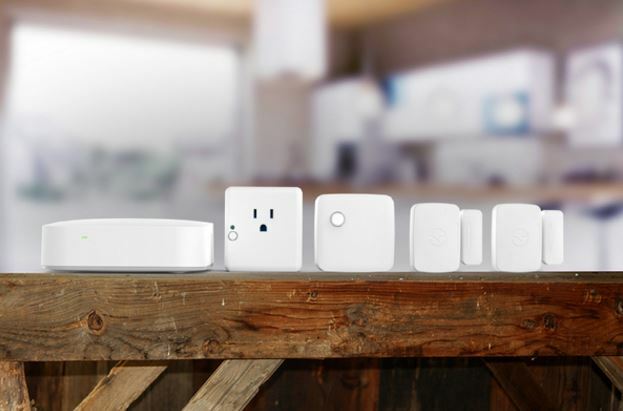 Similarly to Wink, Samsung SmartThings offers a Hub, which is capable of controlling all the compatible devices, including smart sensors, lights, locks, cameras, and more. Everything is controlled from either Echo or the free Samsung SmartThings app available for iOS (7.0 or later), Android (4.0 or later), and Windows Phone (8.1 or later). Whether you are at home or out, you are able to control the electrical devices plugged into the Samsung SmartThings Outlet. The Samsung Motion Sensor monitors movement as well as temperature, sending you alerts when there is a sudden or unexpected change. 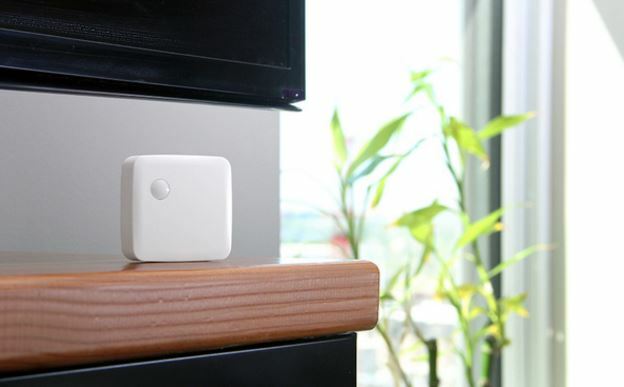 Multipurpose Sensors can also be placed on doors or drawers, alerting you when things are unexpectedly opened. Like Wink, SmartThings devices are also capable of communicating through the Hub. For example, you may set portable heaters and fans to turn on or off based on change in temperature. Various other brands also offer products compatible with the Hub. As an added bonus, the Hub is equipped with 10 hours of backup battery power in case it is cut off from electricity. Philips Hue is a lighting brand compatible with both Alexa and HomeKit for Apple iPhone integration. In addition to Alexa, you can control the lighting in your home from a smart phone or tablet. You can also set multiple timers and alarms so that lighting fits your personal schedule. A single Phillips Hue bridge boasts the ability to control up to 50 Hue products. While this product is lighting only, it certainly dominates in that department, offering various types of lights, both portable and not. 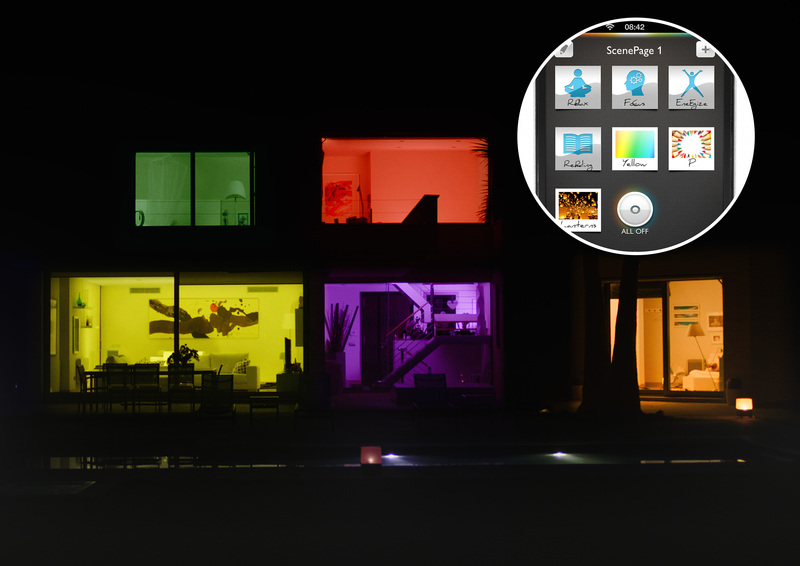 Products equipped with the feature “paint with light” are capable of toggling between 16 million different colors found in the Hue app in order to perfectly light your mood. Other features include comfort dimming, light schedules for home automation, and movie and music syncing. Last on the list of smart home device brands worth detailing at the moment is WeMo. 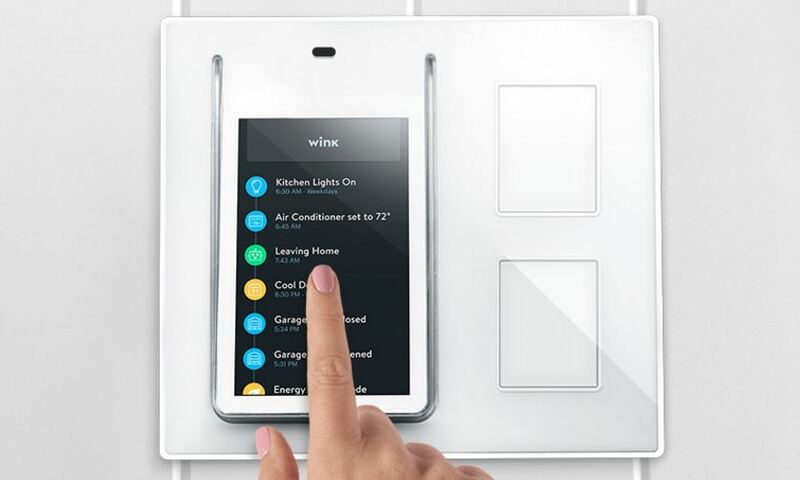 The WeMo brand offers a multitude of devices including Motion devices, Switches, Lighting, and Light Switches. Any device plugged into the Switch which is then plugged into the regular outlet can be controlled from Echo or the free app which is compatible with Apple (iOS 7 and higher), Android (4.1 and higher), iPod touch (5th generation and later), iPhone (4 and later), iPad (3rd generation and above), and latest Android tablets. Similarly to the first two brands, WeMo products are equipped with the ability to communicate in highly customizable ways. The app also includes sunset/sunrise schedules for your lights and Away Mode, a feature used to make it appear as if you are home, keeping your house safe from intruders. Amazon Echo UK: Will it Work in My Country? Your next worry as someone living outside the U.S. is voltage. Lucky for you again, the Amazon Echo is equipped with dual voltage so that you won’t need a transformer. All you need to use the device in the UK is a standard travel adapter. If you find yourself completely sold on this multifaceted speaker, you must know that it is currently only available in the United States. The UK release date has not yet been announced, so why wait? Instead, consider a shopping concierge service such as Big Apple Buddy. Our company is fast, user friendly, and reliable. 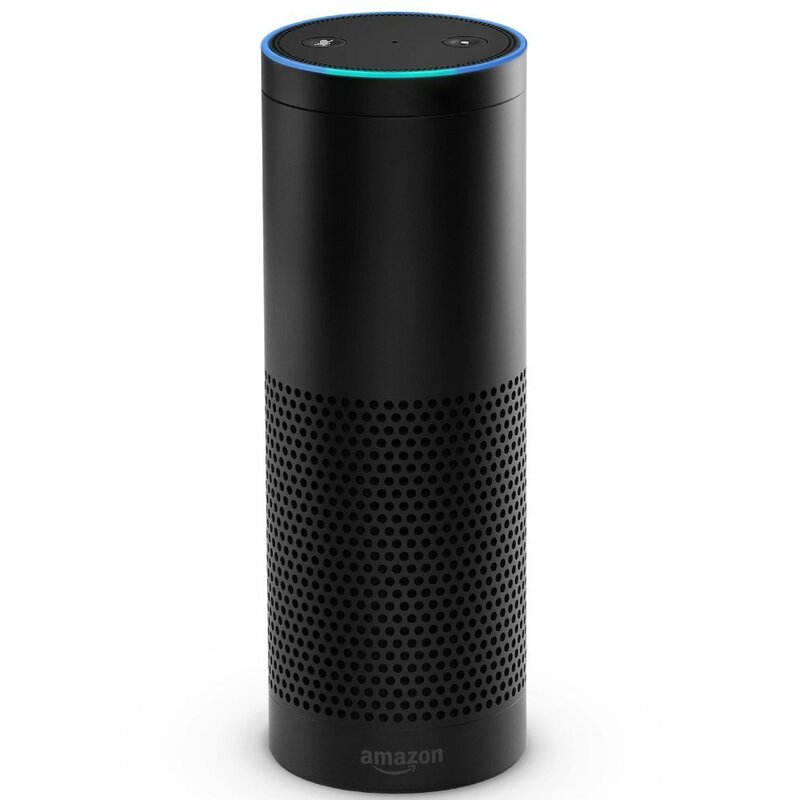 The Amazon Echo could be at your doorstep within a week of ordering through Big Apple Buddy. Don’t waste anymore time waiting. Learn more about our service or get a free shipping quote for the Amazon Echo today.